In 1995 Prof Eleanor Nash from the Psychiatry Department at the University of Cape Town shared her research in Parliament regarding the emotional impact and after effects of abortion. She noted that the most overwhelming emotion following an abortion is that of relief. The most reliable indicator of whether a woman will experience feelings of distress after an abortion is her emotional stability before the abortion. Choosing to have an abortion is an important decision. The decision-making process may be stressful, even if the outcome is ultimately positive. Some women feel grief even though they know they made the right decision. There is no right or wrong way to grieve. The feelings are real, and you should give yourself permission to have them. If you need help coping with your emotions, it is important to ask for a referral to a pro-choice counseling services in your community. Groups opposed to abortion claim there is a condition called “Post-Abortion Stress Syndrome” which they say is similar to post-traumatic stress disorder. This is not an actual psychological condition and is not recognized by the American Psychological Association. For more information, see Abortion Myths. These resources and activities may help you work through any concerns you might be having after an abortion. However, if this information does not fit your personal needs we recommend that you seek the help of a trained, unbiased counselor who can help you work through your own feelings. Most women feel physically fine very shortly after an abortion. Some women, however, may be concerned about whether there were any physical complications as a result of their abortion or whether they will be able to get pregnant when they want to in the future. During a post-abortion checkup (about two weeks after an abortion), a doctor or other clinician can allay anxieties of this sort and can answer questions that a woman may not have thought to ask at the time of her abortion. 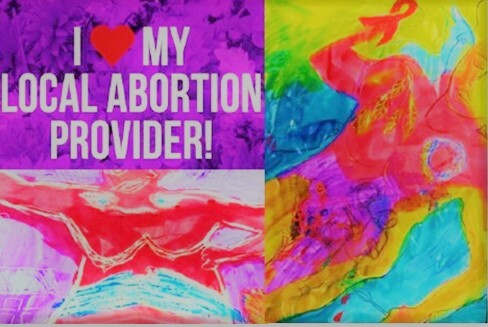 Many women feel relief and reassurance after their post-abortion checkup and most abortion providers encourage this checkup and offer it free of charge. Many women are ready to put the unintended pregnancy and the abortion behind them and move on with their lives. Some women feel the need to talk about the experience and their feelings about it with someone other than their abortion provider. Talking with a caring and supportive person can be both comforting and useful. Women may choose a friend, partner, counselor, family member, clergy, or someone else who gives positive support, and does not judge the choice that she made. Women can review the issues they faced both about the pregnancy itself and about other life issues, such as relationships, jobs, housing, family, and friends, as well as the alternatives they considered and the pros and cons they examined in making their decision. Some women find that separating all the issues involved in their decision, and writing them down or saying them out loud to themselves or a friend helps them feel less overwhelmed and better able to cope with and work through their feelings afterward. For many women, their decision to have an abortion is related to their hopes and plans for their future. Envisioning what they want their life to be like in five days, five months, or five years, and thinking about how they want to live now in order to realize the future they most desire can help some women who may be having difficulty. By projecting themselves into the future, some people can direct themselves toward emotional health. Most women believe that they made the best decision they could at the time given their resources, their obligations, and their values. Some find it helpful to repeat that positive statement to themselves at times when they feel sad or doubtful or worried. Some people have other kinds of mantras, or poetic lines, or statements, as simple as “Peace,” that they find give them comfort and reduce anxiety when recited. Most women return to their usual activities and interests very shortly after an abortion. A woman who is finding it difficult to do that may take up a new or creative activity, such as writing poetry, painting, or keeping a journal. Some women find that a creative outlet can help them work through their feelings. offering a prayer to God, Nature, the Divine Truth, or Inner Spirit, as is appropriate for the woman herself.